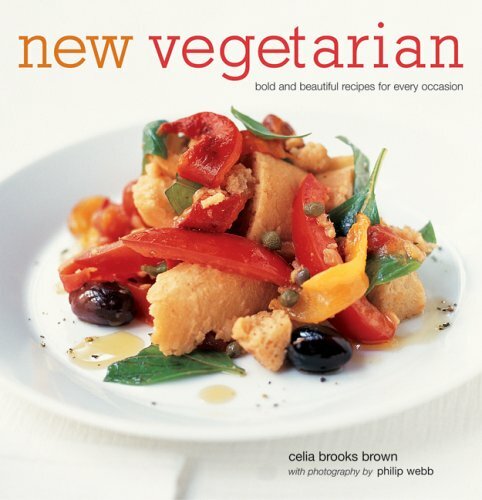 Filled with fresh and eclectic recipes by Celia Brooks Brown -- one of the talented team of chefs at Books for Cooks, the world-famous bookshop-restaurant in London's Notting Hill -- New Vegetarian presents an innovative approach to vegetarian cooking. No longer the exclusive domain of vegetarians, meat-free food is now appreciated by all for its bright and assertive flavors, its marvelous colors, and its easy-to-make convenience. Celia gives sensible advice on choosing and preparing the major vegetarian ingredients, then presents 50 original and stylish recipes -- ranging from quick breakfasts to party foods, from salads to sweet treats -- all photographed by Philip Webb. Whether it is burritos bursting with flavor or Thai Glazed Vegetable Skewers fresh from the barbecue, Celia's enthusiasm and imagination will tempt even the most confirmed carnivore.